What in the world are we doing? A question that is generally met with laughter, smiles, and maybe even a shoulder shrug or two. When we asked that same question to some of the participants of the 2018 Texas Raptor Run (TRR), many of them just looked at us like we were crazy for even asking. We love anything to do with off-road recreation. Participants are excited to get their trucks out on the track as soon as the gate opens. Since we all love off-road, we can understand why so many people looked at us weird for asking, but it led us to a real question of why people spend so much time, money, and energy participating in events like the Texas Raptor Run. 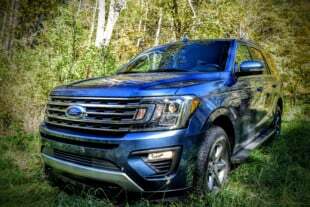 Is it the chance to take your vehicle off-road and use it for what is what designed? Is it that people just want to have the opportunity to escape the daily grind? Is it that we all strive to connect with other people who share the same interests as us? Something that becomes apparent when you repeatedly attend the Texas Raptor Run is that you start to see the same faces over and over again. Of course, there are always new people at an event, and that’s a good thing, but you definitely start to see a lot of the same people. We sought out some of those familiar faces and asked them why they make this lifestyle a priority in their busy lives. 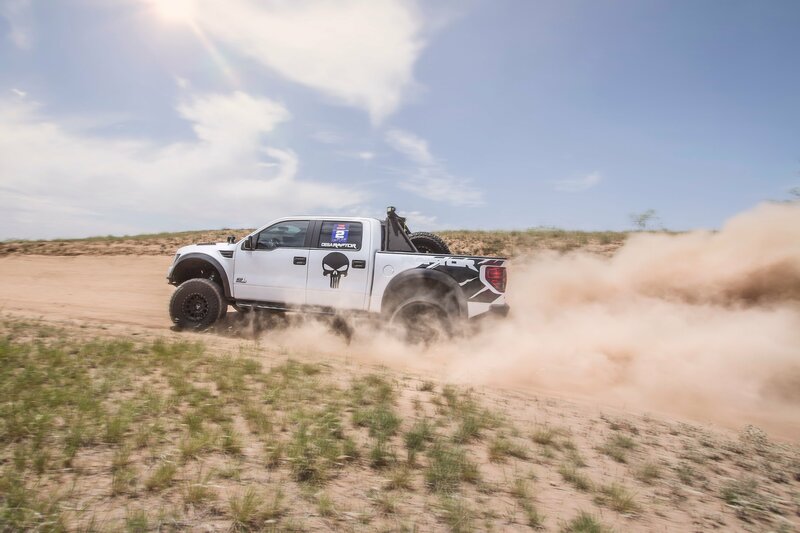 Texas Raptor Runs allows drivers of all skill levels the chance to get their rig out on a track and try out various terrains. The track starting line can be a great place to hang out and get a look at all of the different modifications on the various trucks. This purple Raptor owned by Angelina Garcia has seen its share of track, but hanging out at base camp and spending time with friends it why she really enjoys these events. Mike McGinnis, in the COBB Tuning Raptor, may have had the fastest “unofficial” track time of the weekend. Something that was pretty interesting to us was that even though Tim did not have his own truck ready for this event, there was no shortage of people willing to let him take their trucks for a spin. These are some expensive machines and the trust and friendliness that is shared by attendees at Texas Raptor Run events is unlike anything we have seen at previous gatherings. It added to the experience for us, and you quickly see that these events are more than just an opportunity to go fast. Food is a big part of the event with the Saturday night BBQ. It gives participants, vendors, and staff the chance to share a meal together. Carlos Martinez hits the track in his lit-up Raptor! One of our favorite parts of the event is the annual sunset tour of the ranch. You really get to see how beautiful it is out there. The people that attend are amazing and the most generous people we have ever known. No man or woman is left behind. If you have an issue, there is a line of people that will help you do whatever it takes to get back on the road. Alvin Olson speeds out of the Texas Raptor Run starting line. The top aftermarket companies and vendors can be found hanging out in the pits at the event. They're willing to help with issues, sell products, or just hang out. While this is our second TRR event, we have also been present at six other events put on by Trey and Texas Raptor Run. At each of these previous events, the welcoming atmosphere and family-focused activities help to foster the feeling that all are accepted and appreciated. Whether a participant experiences a breakdown, gets stuck on the track, gets a little lost out on the 40-plus-mile track, or gets a little overzealous on a jump, other participants – and the TRR staff – are always there to lend a hand. TRR staff are always around to help, even if it means getting a little scraped up. The overall answer to our original question appears to be the people. While getting out and pushing your rig is always a good time, it is more the social connection and creation of meaningful relationships that draws folks to events like TRR. Seeing how high you can jump your truck is one part of the four-day event that everyone loves to watch. For us, this experience and truth is more than just a topic in an article or a footnote from an event. The decision to purchase a Ford Raptor and participate in events specific to off-road recreation has led to both personal and professional opportunities that would not have existed if we had not made that decision. We have made some great friendships and had the chance to travel around the country to wheel in places that we otherwise may have never visited. The reality is that buying a four-wheel-drive vehicle creates an opportunity for more than just good times off-road. It creates the chance for an owner to join a community and have experiences and friendships that weren’t there before. We think that we could all use a bit more of that these days. Sunsets, animals, Raptors, and friends; who wouldn't want to spend a weekend at the Texas Raptor Run? It’s easy to see why TRR continues to be successful. TRR provides a chance for people share an experience together. Both good decisions (and poor ones) are supported and accepted, and those kinds of good vibes are just the kind of thing that will make us come back, too. Every evening, there is a beautiful sunset at the Texana Ranch in Blackwell, Texas.